Volkswagen is presenting an innovative lineup of extremely economical and low emissions drive technologies at the North American International Auto Show in Detroit (NAIAS). Featured there from January 11 to 25 are the carmaker's Clean Diesel engines (TDI). Many experts consider these diesel engines to be the most advanced of our times. The reasons: high fuel efficiency and extremely low emissions combined with maximum performance. It is precisely this formula that has already won over millions of car drivers worldwide, including a growing number of people in America. The unveilings at NAIAS come on the heels of an exciting year of change at Volkswagen, where in the U.S., the Group took steps in such areas as product quality, product offerings, brand management, customer experience, technology, retail support and manufacturing to strengthen its standing in the world's premier market. Volkswagen announced construction of a new manufacturing plant in the U.S., expansion of its plant in Mexico, dedicated a new U.S. headquarters in Virginia, launched five new products, entered new market segments, grew its share of the market and introduced clean diesel technology to the U.S.
For 2009, Volkswagen is starting the new year by presenting an automotive dream – an affordable, uncommonly economical and highly agile mid-engine roadster. Its name: Concept BlueSport. Status: concept. Dynamics: pure. Fuel consumption: an average of 42 mpg / 4,3 l/100 km (combined; Highway: up to 50 mpg); less than any other sports car. 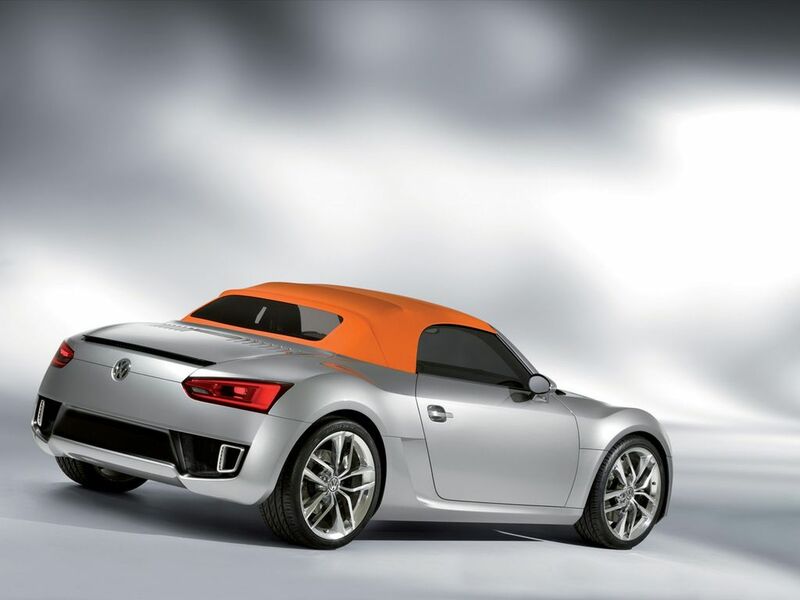 Positioning: genuine, low-emissions roadster (113 g/km CO2) that makes every mile a driving experience. Behind the two sport seats of the 3.99 meter long Concept BlueSport (axle load distribution: 45:55) is an exclusively charged TDI or TSI engine that delivers dynamics – these are high-tech engines that consume little but put out a lot. In the case of the Concept BlueSport version now being presented in the USA it is a 132 kW / 180 PS strong Clean Diesel (TDI) with common rail injection and downstream NOx storage catalytic converter. At a low 1,750 rpm – i.e. right from the engine speed 'cellar' – the 2.0 liter turbo engine develops its maximum torque of 350 Newton-meters. That matches the power response of an approx. 300 PS strong six-cylinder gasoline engine! A 6-speed dual clutch transmission – the most economical and agile transmission system in the world – transfers this power to the rear wheels. It is shifted either automatically or via shift paddles on the steering wheel. In just 6.2 seconds the sports car is moving at a speed of 60 mph (0-100 km/h: 6,6 seconds); its top speed is 140 mph (226 km/h). These are the key parameters of a new and at the same time classic European sports car philosophy. The Concept BlueSport is evolving into a car that is a lot of fun to drive and at the same time makes an unmistakable statement in terms of sustainability. At the other end of the spectrum, Volkswagen is presenting diesel's versatility in the new Touareg V6 TDI with its powerful 225 hp Clean Diesel. The high-tech engine is taking the stage with a city fuel economy of 18 mpg. On the highway it attains a best in class 25 mpg. The Touareg V6 TDI is defining a completely new generation of extremely economical and low emissions SUVs. Since the Touareg V6 TDI is equipped with the most advanced catalytic converter system in the world, it impressively fulfills the BIN5 emissions standard, and with it the legal requirements of all fifty states in the USA. In parallel, the V6 TDI will satisfy the highest expectations in dynamic response and comfort: the turbocharged V6 TDI is just about as quiet as a gasoline engine, but it is far more powerful. Starting at a low 1,750 rpm – i.e. from the 'cellar' of engine speed – it already develops its empowering maximum torque of 407 lbs-ft. Right at the launch of the new Clean Diesel SUV, Volkswagen is also presenting a world premiere of the special "Lux Limited" edition of the Touareg. Identifying features: an upgraded exterior with exclusive 20-inch alloy wheels and two-tone leather interior designed especially for the Touareg "Lux Limited". Since August, the Jetta TDI and Jetta SportWagen TDI have been marketed as Clean Diesels in the USA. They too are taking the stage at the NAIAS 2009. Their 140 hp strong four-cylinder turbo-diese, that produces 236 lbs-ft of torque is so fuel efficient (30 mpg city / 41 mpg highway / manual. That is because from the very first day they are driven, cars like the Jetta TDI make a contribution toward drastically reducing emissions. Compared to gasoline engines of similar power, the fuel efficiency of the Jetta TDI and Jetta SportWagen TDI is up to 35 percent better! That helps the environment. Immediately. All across America. 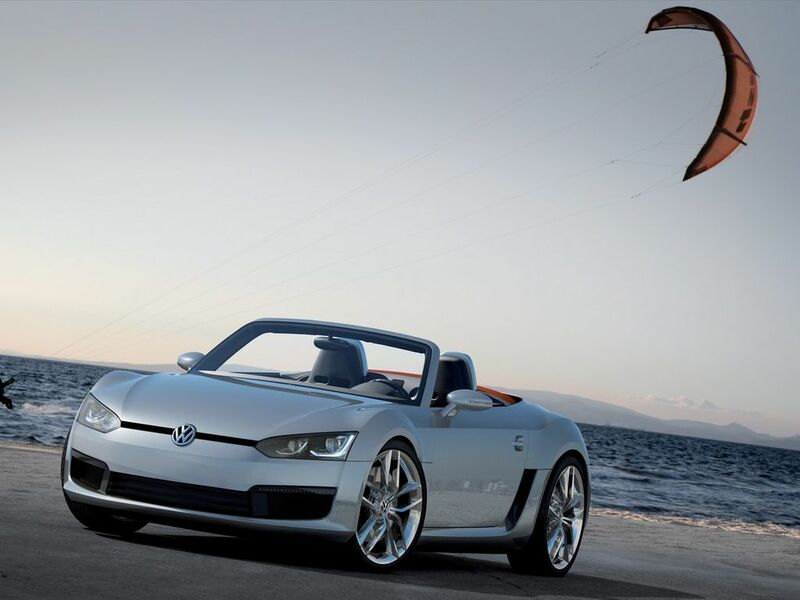 The Volkswagen stand will include its 2009 range of award-winning vehicles. For 2009 the Volkswagen line-up includes the Jetta and Jetta SportWagen – both available with 50 State compliant clean diesel, Passat, Passat Wagon, Eos, Rabbit, GLI, GTI, New Beetle, New Beetle Convertible, Tiguan, CC, Touareg 2, and Routan. All 2009 Volkswagens, come standard equipped with the Electronic Stabilization Program (ESP). 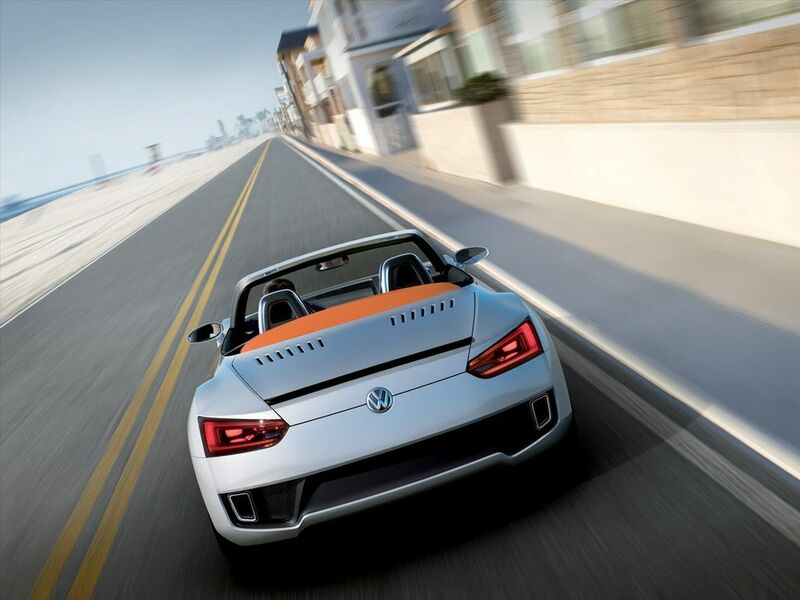 Volkswagen is one of the only original equipment manufacturers to provide an electronic stability control system on their entire product line as standard equipment – ahead of the National Highway Traffic Safety Administration's (NHTSA) deadline requiring vehicles in the 2012 model year to include stability control systems. All 2009 Volkswagens also come with 24-hour Roadside Assistance for four years or 50,000 miles (whichever occurs first), plus new vehicle limited warranties that include carefree maintenance program.